Belt AND suspenders...... headstay AND jumpers! Guys, any idea what this woody is? Bow and Cabin remind me of a Farallone Clipper, but I'm probably wrong. Pretty sure Trevor B is right. Not sure who was inspired by who! A bit less overhang in Cornu designs but I don't think that we've ever had a fascination for silly long overhangs here. So is it a Farallone Clipper? 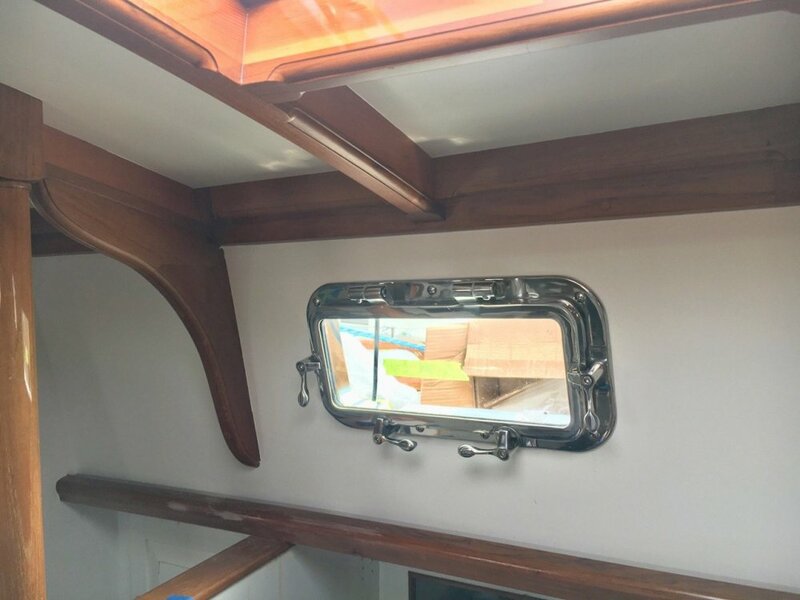 The cove stripe is similar(if not identical) in Sloop's pic, cabin top shape similar albeit no front window and dif handrail pattern than original pic, and no boom jib in original pic. Would seem same but I don't know the boat and photos can lie. Front face of the cabin top seems different w Southern Cross's pic. The exact bow also remains under consideration. Pano's is closer. I'm flummoxed, but I'll get over it, answer or no answer. Just answered my own question based on shrouds placement. No lens can change that part of it. I'll be on my way now. 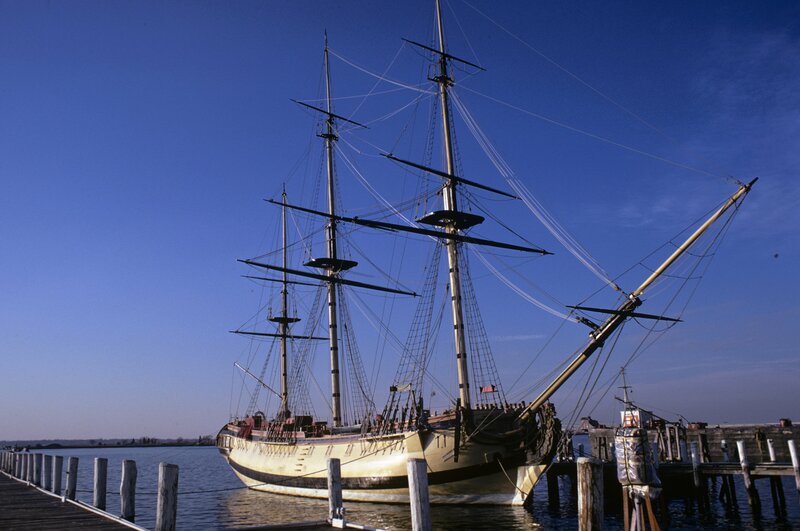 A couple of things I noticed that were identical to the Stephen’s Bros Farallone Cutter: self tending jib boom, the round hatch and the wood (oar?) piece of wood upright against the companion way. No idea what that piece of wood is for. Held in a slot to be removed for something. Apparently only 19 built with some variations. Very often seen in Scandinavia - especially on older boats. Supports the boom and a boom tent and doubles as an oar for smaller boats without inboard. Almost standard equipment on the Folkboat. 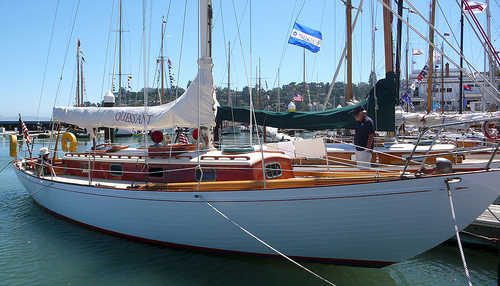 Quessant is a farallone clipper based in SF bay area. That picture looks to be the Corinthian yacht club in Tiburon Ca. Lovely boat. ^^^^^^ That's a beauty. What is she? I wonder if the little fella is looking for the poop deck? See, this just proves that the French have no idea what a good boat looks like. 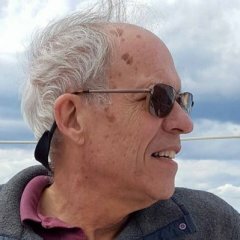 You should post those in the Perry Sliver Class thread. She sure is a looker. And you’re dog is cute, too. Who need Viagra when you can look at boats like that? And another long silly overhang. Now I know why they wanted to call them “Freedom Fries”. That would have been a pretty nice boat if he's just carried the sheer line all the way aft instead of breaking it at the cockpit..
Long overhangs are more a yacht feature than a boat feature. 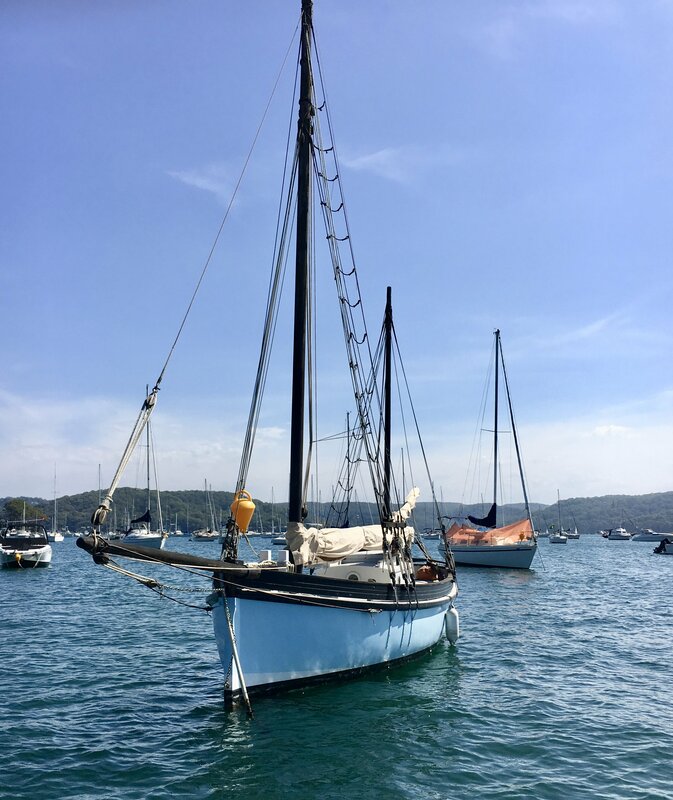 Yachts are more a thing of the French riviera or southern England, here on the Atlantic coast we have a more utilitarian view, we have boats which are tools to fish, race or travel rather than an end in themselves. 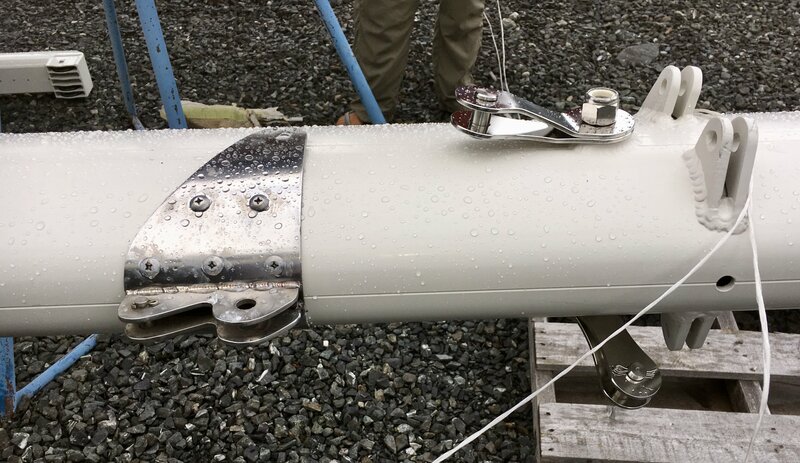 So we don't care that much about overhangs as reducing waterline doesn't make your boat sail better or faster! Just a different culture... but to our eyes good is fast and seaworthy. I was just ribbing you a bit. Nothing mean meant by it. Belongs in the uncomfortable cockpit thread. Those coamings are just like the ones on my old X-Yacht. Two places to sit. One lead to both your legs going to sleep, the other was like a visit to the headmaster's study. Plus the windows are all wrong and plastic teak. Nice hull and rig, everything in between (deck, cockpit and cabin top) is pretty awful. Belongs in the uncomfortable cockpit thread. Those coamings are just like the ones on my old X-Yacht. Two places to sit. One lead to both your legs going to sleep, the other was like a visit to the headmaster's study. My old Fortune 30 had the most comfortable cockpit I ever sat in. 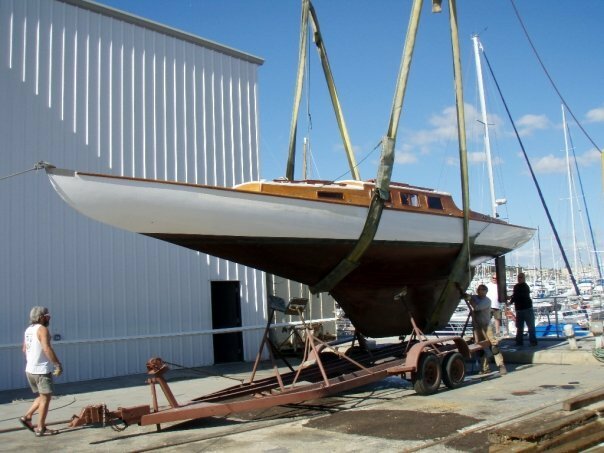 I met Bob Fortune at a boat show once and commented on it and he said that he and the designer Huntingford "assed" it into shape. They started with a mock up and sat in it every which way and modified it until it was comfortable everywhere. More designers & builders should use that approach - it really works. 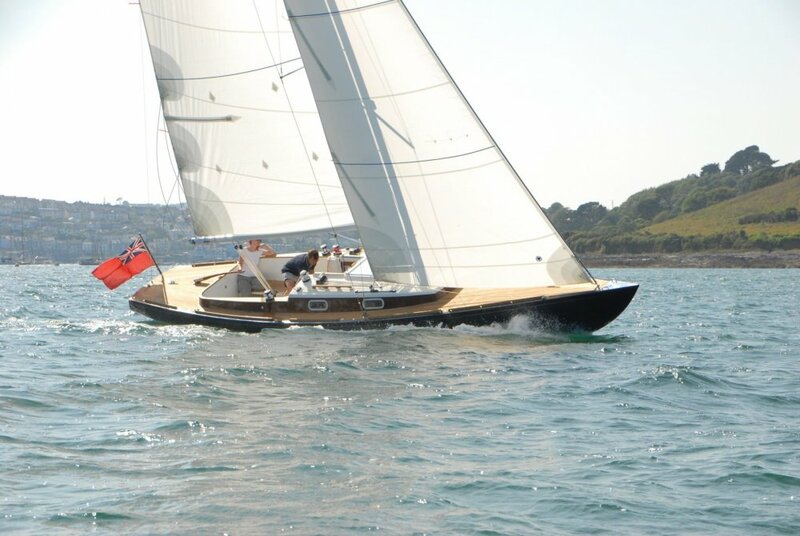 The Rustler 33 would be my choice in that style of yacht but bloody expensive. Cockpit is deep and commodious with ample storage. Nice boat except the tubby cockpit. It is more cruisy then the Flyer. But a good look it has. A hot tub cockpit, indeed. That's why the engine control is up high and in your way, so that when you fill the footspa with champagne it doesn't get wet. 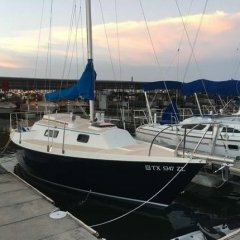 When I was looking for a boat, I went to see a CS 27 that was available locally. 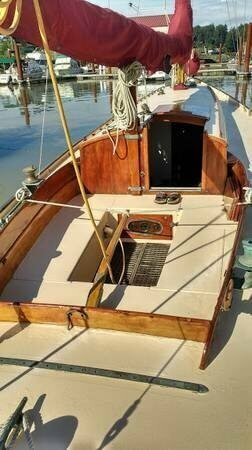 Very nice boat with a good reputation, it has a deep cockpit. Even though it was not a hot day, I could tell it was a sun trap, and I thought it would be hot and uncomfortable on WLIS. I'm sure it's great where the water is cold. 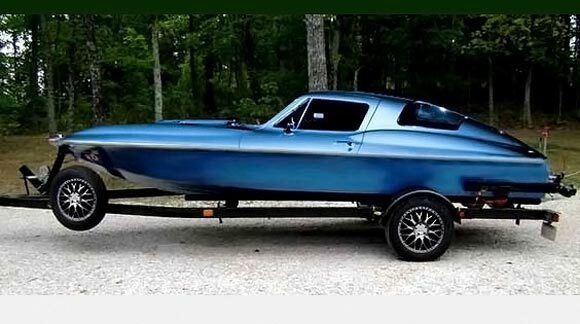 When I was in the business, I used to describe some boats as good `boatshow boats'. 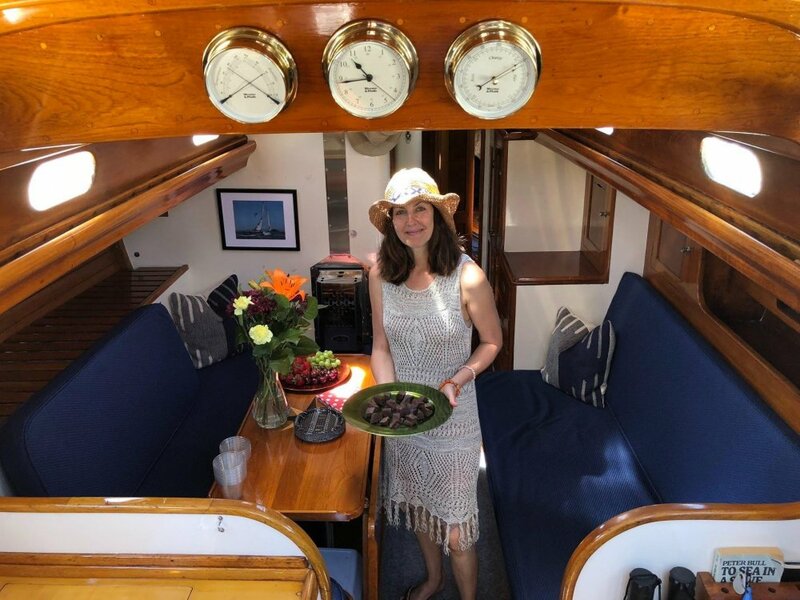 That is because when many couples visit they go straight below to look at size of heads, bunks galley. A type of nesting instinct. In reality almost all sailing done by these couples would be daysailing where sailing characteristics and cockpit amenity should be the priority. 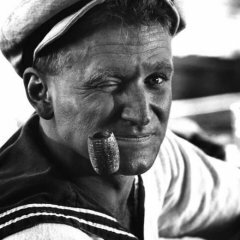 To me, these day sailors make far more sense. They round up a lot less, you can see past a jib that you don't have to skirt either and they'll sail in lighter air. My photography doesn't do them justice but they take us away from long overhangs back to blunt ends. 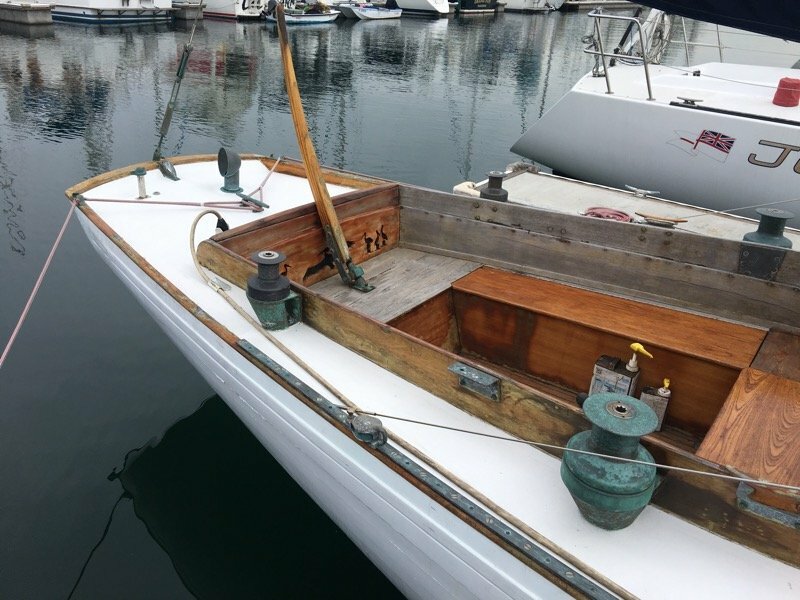 The first boat was discussed at length of the Wooden Boat Forum. It appears to me to have no affectations and seeks to celebrate working boats of yesteryear. Can you guess who designed her? Trick question. How is the Perry boat going? 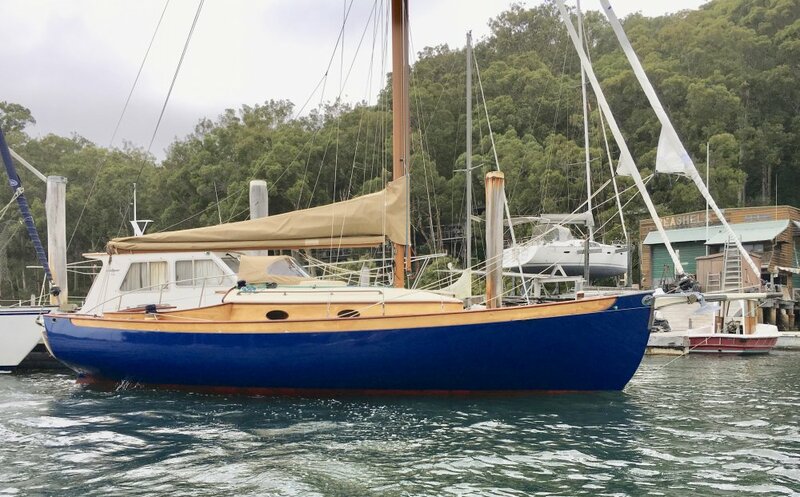 Speaking of Sydney Harbour boats - anyone ever heard of a Swagman 26’. Don’t have much info. Just some old photos in a box somewhere. 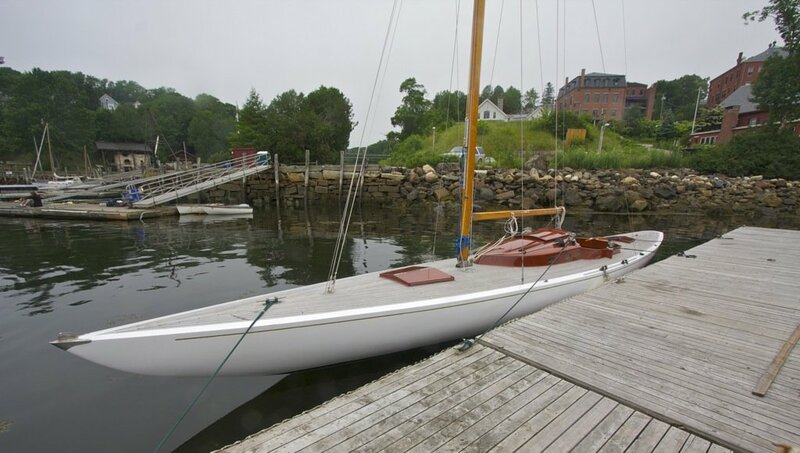 A woody sloop with a center board, we picked it up when I was a kid and restored it. 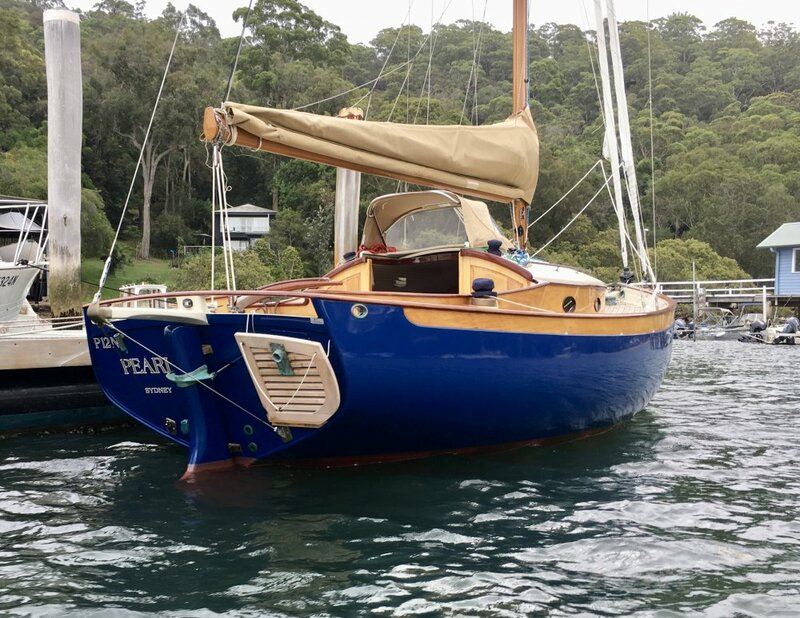 It was moored in Parsley Bay. 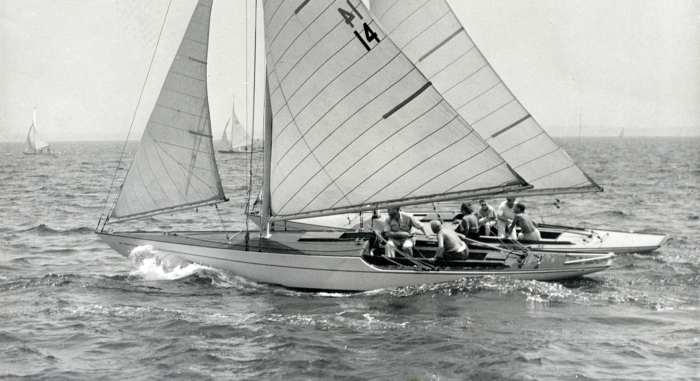 Phil Bolger's HMS Rose in 1971. Ken Beashel designed this yacht. 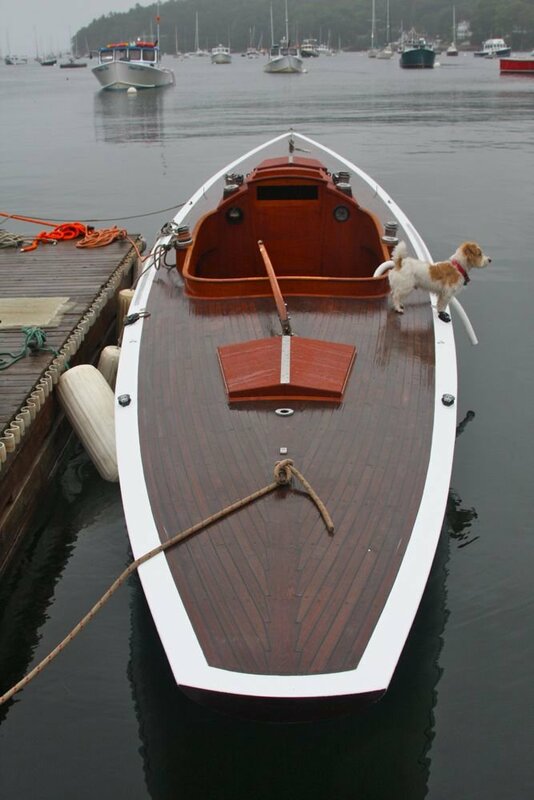 ....and this is `Blink' designed by owner builder Mikey Floyd. 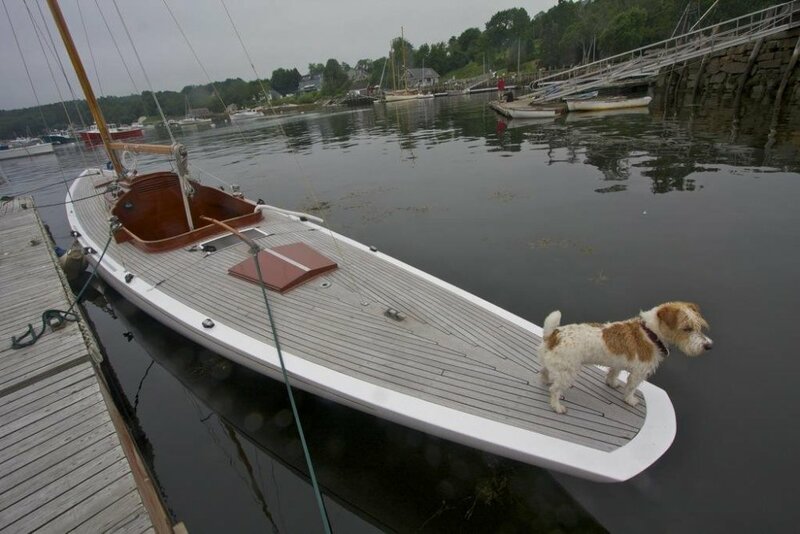 Now that’s a cool boat to admire, look forward to a launch. Are you going to cruise the PNW? I can thoroughly recommend it. 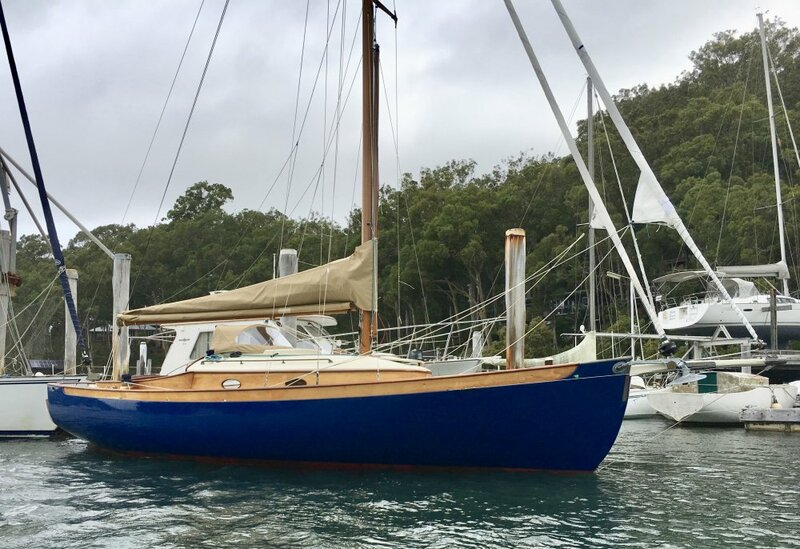 Have to get together on V40 no 101 when you get her back to Oz, a few Bob boats down here in Hobart now. Are you here? I'm racing on NIGHT RUNNER on April 27th. Would you be available? Start is off Anacortes. It's sold (minus the figurehead). That would have been fun Bob; Im in Aus though. Yes I look forward to launch too! Not sure what to think. Thoughts? 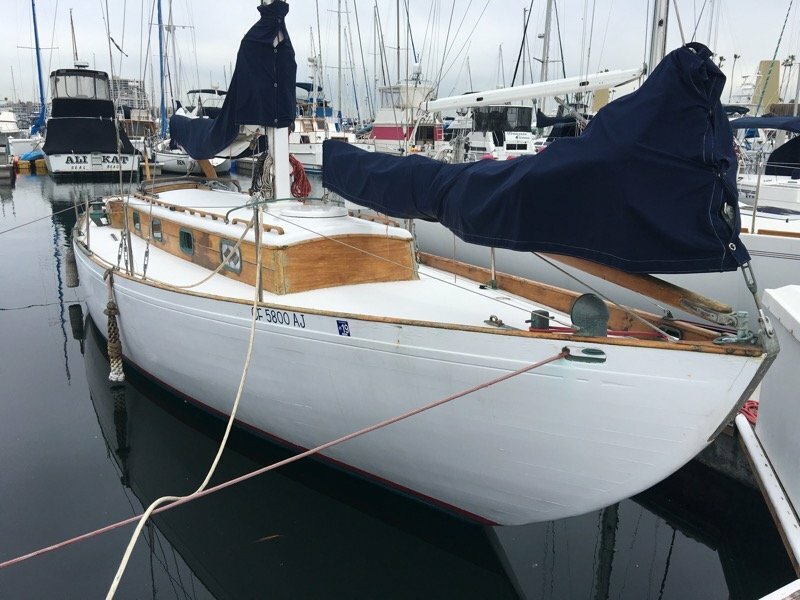 For sale in San Diego for $49k. Go for it. You do have $200k a year in disposable income to care for that lovely piece of furniture, yes? Nice pics of the restoration. Removing the engine was a questionable choice. 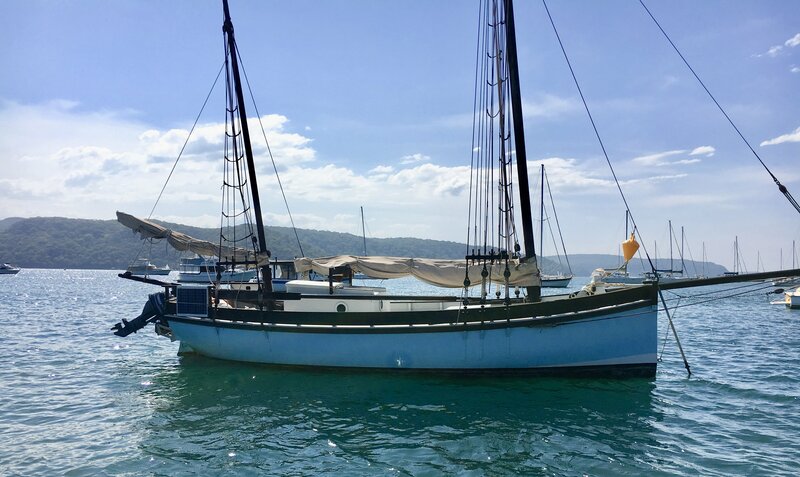 I'm sure it's a better sailboat now but the marinas in the 1940's were probably a bit easier to negotiate without power since some still did it. It does look expensive to own. I'm guessing someone thought to add, "Oh, and make it pretty" to the design notes. But it's not the purchase price, it's the upkeep. Sorry to show my ignorance but what is it? That's a shame James. It may be Doug's race. We want to make it a good one. Hope to see you soon. Let me know if I can do anything on the boat while you are gone. Not a chance would I get into that. Just brought it up for comments on the look. Something cool but quirky about it as well. That's a pretty awesome looking ride. She one of Bob's designs... a one off built in Port Townsend. The cabin looks good, just needs eyebrows back on. She has similar lines to Nightrunner. 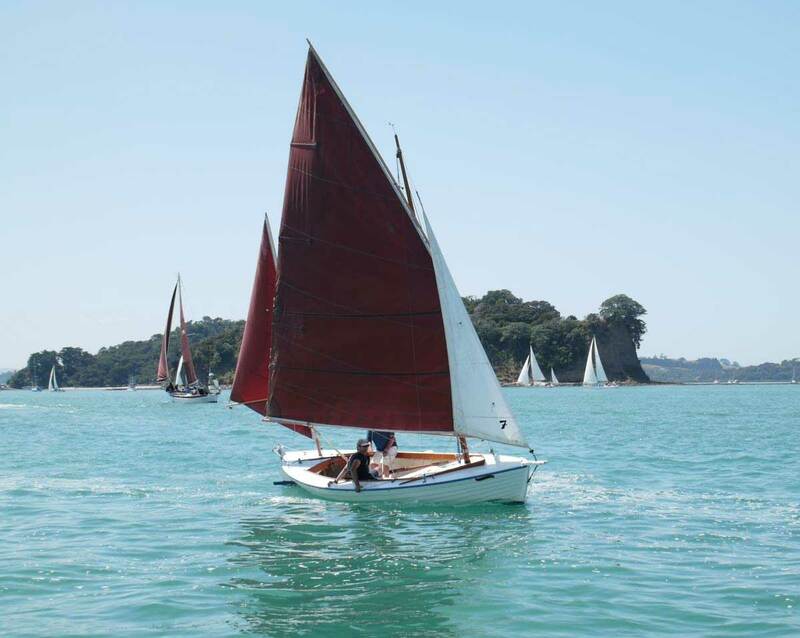 Nice boat, is she cold moulded or GRP? I thought the sheer line looked familiar. Beautiful boat. Now we are going to hound you for more photos. I thought she looked like Nightcrawler without a sprit. Were the locals out with torches and pitchforks when she was being built in PT? I don't mind. I'll do if for you if I get to sail on her regularly!!! We are talking about someone else doing the sanding and prep, right? Beautiful boat. 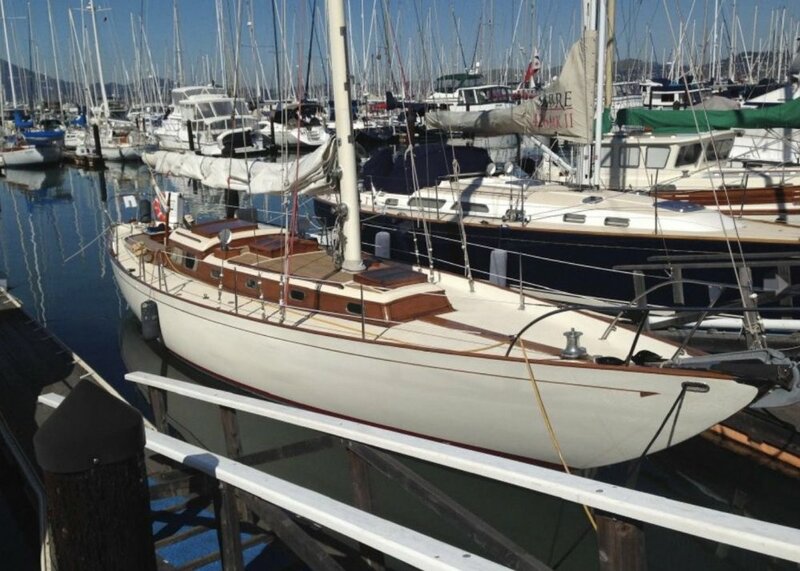 Exactly the kind that I want berthed next to me at the marina. And I was going to remark on the quality of the pictures too; we too often see crappy photos of messy interiors. But this guy has gone so far as to have an appropriately-aged spokesmodel in a saloon shot. Nice. But i have to ask: what's with the chinese food picture? Really? You guys are free to Ponzi up whatever arrangements you need so long as my topsides are kept showroom. Is that the soon to be ex wife holding a dish best served cold. 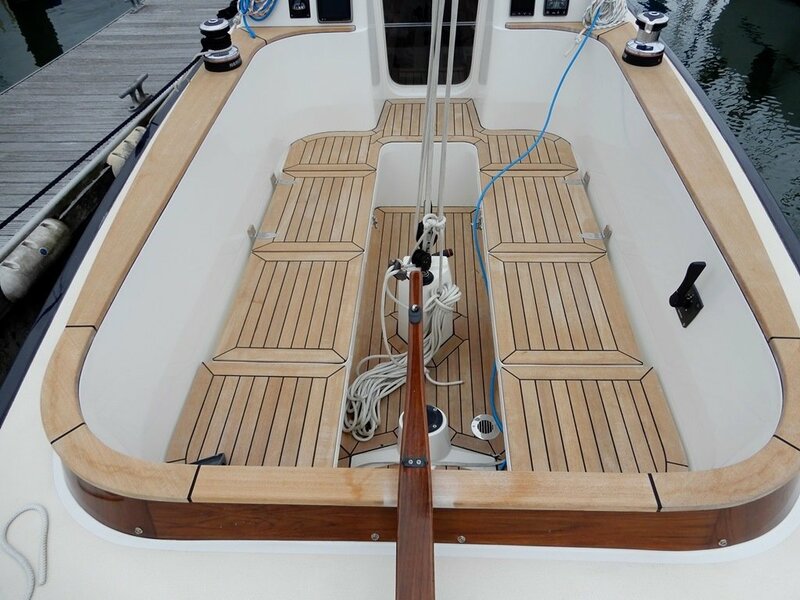 Crikey it would break your soul in half having to part with such a beauty, yacht that is. Don’t remember if I posted this before. Well that made me drop a tear or two on my deck. 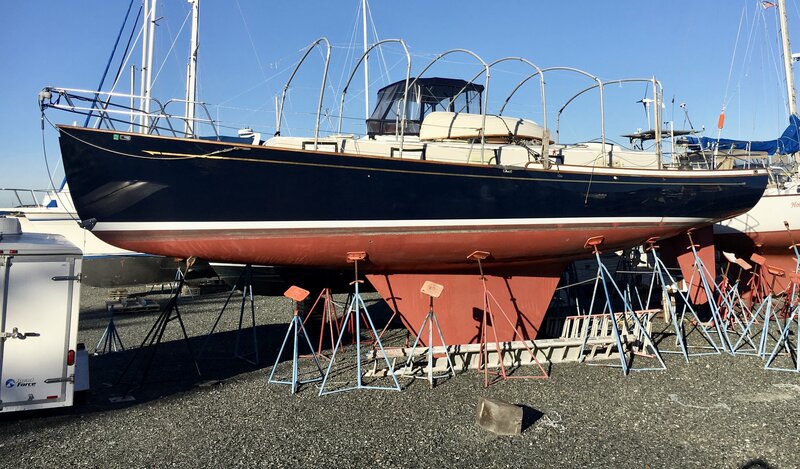 With great love comes great loss and I do hope that he sees his wonderful yacht pass into caring hands. What a beautiful boat. Was a bit sad at the end. I hope who ever purchases her knows the heart and soul that went into bring her back. 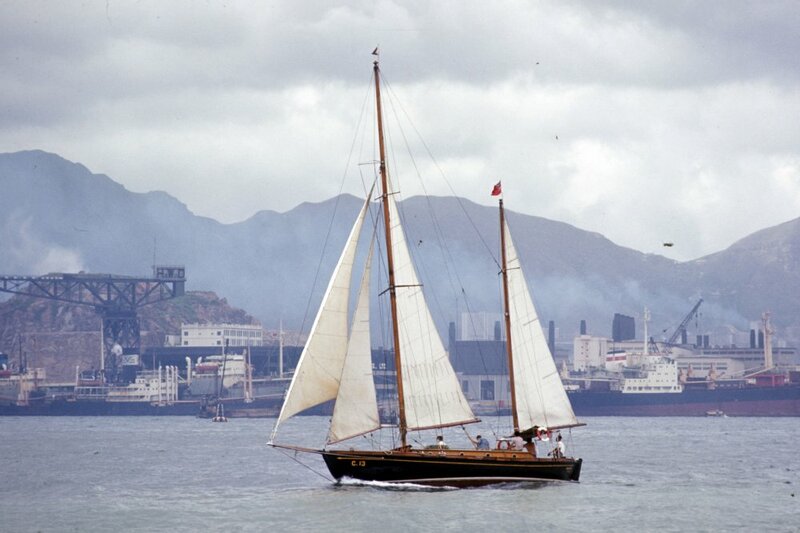 Fair winds, beautiful. The gentleman was able to keep more composure than I would expect. Too bad about the off-set you know what. 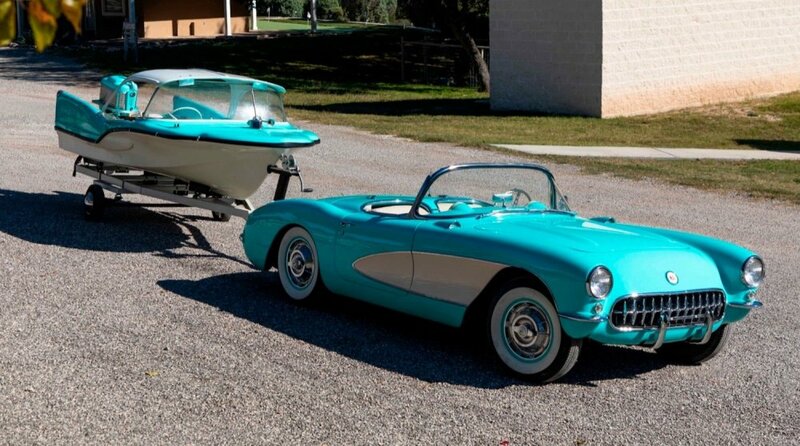 A classic Corvette jetboat is almost too cool. Completely useless, but cool. This would be more practical.